Happy less than two weeks of July! While the weather’s fluctuating between “just-right” and sizzling summer heat, here’s a couple cafes in the Downtown (Central Business District) area to check out! 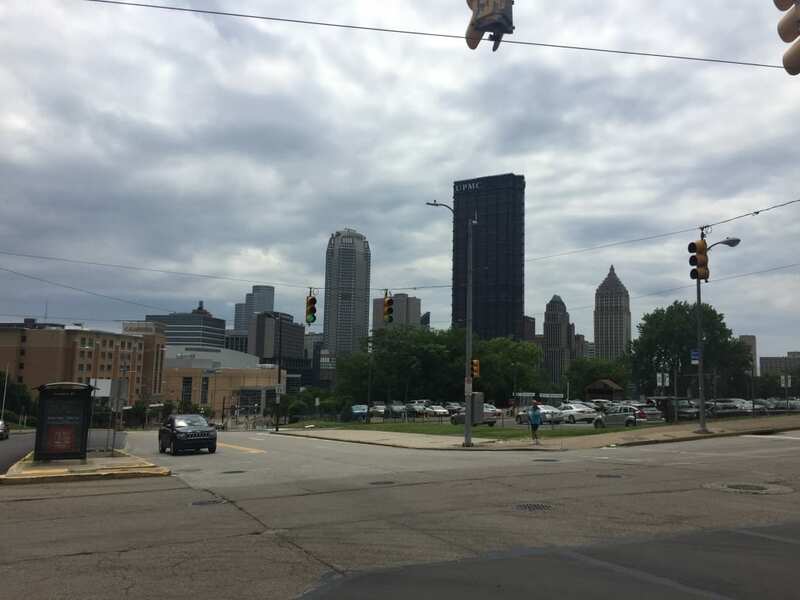 Whether it’s for your daily caffeine rush in the morning, catching up with friends and colleages, or even just checking out one of the festivals or markets in downtown Pittsburgh, add these to your next to-go list! Not too big and also hidden inside one of the PNC office buildings, 21st Street Coffee & Tea is like a oasis in the middle of steel city and white-collar workers. Shop itself is designed pretty simply with some accessories to look around while you’re waiting for your drink! The first chain and Starbucks location to be featured in my cafe series to-date, it should be self-explanatory what this location sells. But what draws appeal to the place is the interior design and architecture of the shop. 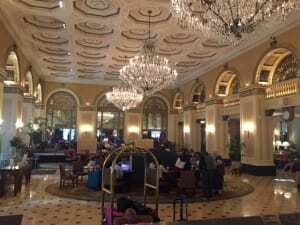 Being inside the Omni William Penn hotel, the Starbucks gives the feel of Victorian England – living the life of the royal family per se. There’s also considerable seating and table area to just sit down (and do work for the busy). Ok, second chain for the day – Crazy Mocha. Local Pittsburgh cafe chain, Crazy Mocha is everywhere! There are several in Oakland/Squirrel Hill area, but you can find several around Downtown. This specific location is right downstairs of where I’m working at right now (SVN | Three Rivers Commercial Advisors mentioned in my last post, to refresh your memories xD). A nice and quiet location tucked in on Smithfield St to take a breather from work. While I’m at it, right across from it in the same building is another local small business – Boulevard Deli. Perfect for a quick meal, they have soups, sandwiches, and salads. What’s unique about them is that their sandwiches are all named after a different neighborhood of Pittsburgh. Sadly none of them are vegetarian so haven’t been able to try them, but if I could, would love to try the “Oakland” or “Highland Park”! 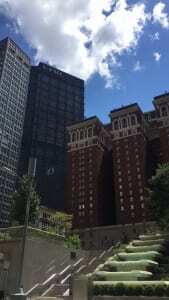 Mellon Square – urban oasis of downtown Pittsburgh!